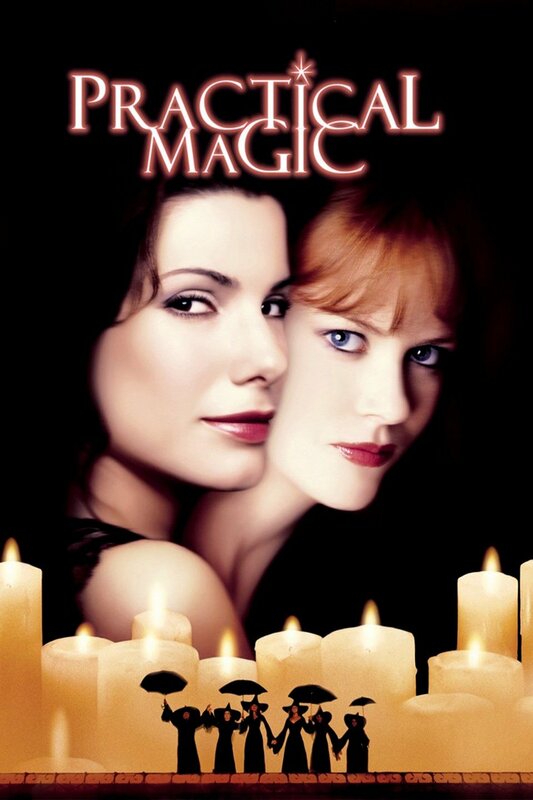 Like many people with witchy sympathies, I have seen the film Practical Magic, more than once. I own a copy, even. It’s charming if a bit overblown. I only found out recently and by accident that there is a book. And a prequel. This is not exactly a review. I am so glad I saw the film before I read the book, because I’ve enjoyed the film for what it is. Had I read the book first I suspect I’d have hated the film for being so far off the mark. Much of the magic in the book is subtle. There’s more of it in the background than there is deliberately enacted by the characters. The book is a complex, subtle, fascinating thing, and the youngest generation are teenagers and people in their own right and it makes a world of difference. The backstory with the curse and the accused ancestor is a good deal more complicated as well. 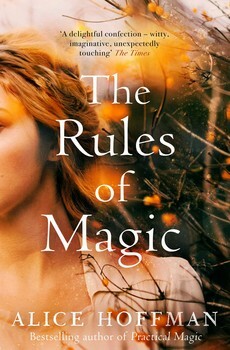 The prequel is called The Rules of Magic, and is lovely, and sad and thoughtful. What author Alice Hoffman does in both these books is to square up to how love and grief and relationship play out across a lifetime. It’s powerful stuff. And of course when you tell the longer story, inevitably, everyone dies. What you love, you lose, because that’s the essence of life. The understanding that the answer to this is to love more, is deeply affecting. There are two things I particularly loved about these books. Firstly is that magic is ever present; a permeating force that creates possibility. It’s just there, around and between people, and creatures, and places and stories. I’d much rather have more of this kind of magic, and less of the spellworking we see in the film. Thing number two is technical. 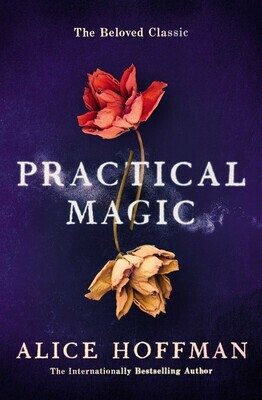 The book Practical Magic is pretty much all ‘tell’ and little ‘show’. There’s a bit more ‘show’ in the prequel, but still not as much as is fashionable. This makes me really happy. This is a story told in its own way, on its own terms and as it has a lot of ground to cover, just telling you what happened is much more efficient and effective. We don’t have to play out every key scene with dialogue and let the reader come to their own conclusions. 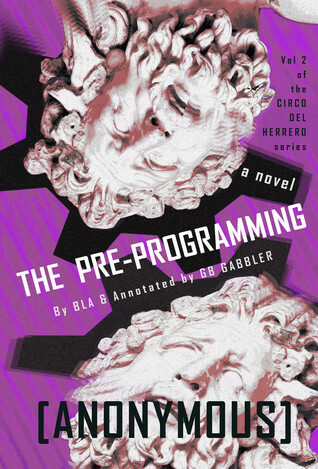 The narrator will tell you what to think. Sometimes the narrator will turn out to be wrong, or misleading and that adds to the charm. You can’t tell multi-generational stories about love and relationship if you have to show every key scene, and that makes certain kinds of stories impossible. Writing in a way that supports the kinds of stories you want to tell, is essential. Gatherer of Souls, by Lorna Smithers, is a collection of poetry and short stories about Gwyn ap Nudd that offers a radical re-think of Arthurian mythology. Physically speaking, this is a small book – 114 pages – but what it covers is both vast and important. Lorna has been studying Arthurian mythology for some time, going into older texts, and reading in more detail than most of us do. What she’s unearthed – and followers of her blog will already know about this – is the questionable nature of Arthur’s activities. We’re been sold Arthur as chivalric hero, protector of Britain, once and future king… but get into his stories and it’s all slaughter and theft. He’s a personification of patriarchy, and a killer of old mysteries and magics. This is a book that assumes its readers have probably read some of the Arthurian material and aren’t basing all their knowledge on modern, pop-culture representations. I suspect that without at least an awareness of the older material, this would be a challenging read. The Gatherer of Souls referred to in the title is Gwyn ap Nudd – a character whose story is interlaced with Arthur’s in legends. It seems likely that he is a far older figure. He is the ruler of Annwn – the realm Arthur plunders for treasures. He’s associate with faery, with otherworlds, underworlds and the dead. He is the enigma at the centre of the book, and even though Lorna gives us some pieces in his voice, he remains beyond us, essentially unknowable. The use of voices in this collection is fascinating – across time, they speak of experiences and encounters that connect with Arthurian versions but recast them from different perspectives. The voices of those who have no voices in the usual versions of the tales. Often these are figures whose deaths are a brief interlude on the way to some victory or another. In telling these other tales, Lorna deconstructs the way Arthur as patriarch abuses wildlife, women, and anything magical or other. It’s a very intense book, and I found I had to read it slowly and make time for digesting before I tried to move on. I’m confident it’s a book that will reward re-reading because there’s so much going on here that one read doesn’t do it justice. I find these are stories I needed. Arthur has been in my life as long as I can remember. I first became uneasy about him as a figure when failing to plough through Le Morte D’Arthur, struggling with the absence of real enchantment. It came into focus for me while working on a graphic novel of the same book and seeing again how empty and uneasy I find this supposedly chivalric dream. I’ve been following Lorna’s blogs for some time, and I’ve learned a great deal from her work on Arthurian myths. 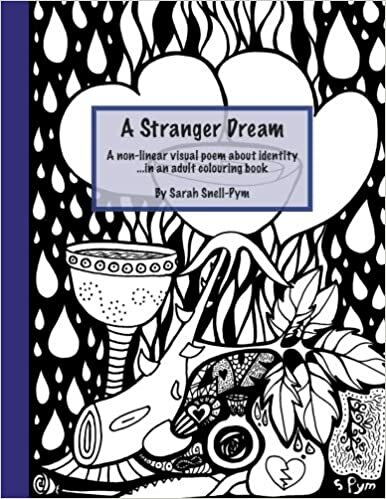 I find the creative responses she’s shared in this book answer a need in me. A hunger I didn’t know I had for some other, wilder, and not-kingly take on things. I started listening to the Welcome to Night Vale podcast about three months ago, and am about 90 episodes in at time of writing. Night Vale is an imaginary small town somewhere in a desert that exists in some kind of vague relationship with America. The podcast brings us Night Vale’s community radio station, and through that we become complicit in the life of the town. Night Vale is a strange and troubled place, full of weird magic, inexplicable science, sinister rituals, and a vague yet menacing government agency. Learn about the faceless old woman who secretly lives in your home, learn to fear wheat, and wheat by-products, learn where the badly hidden microphone in your house is in case you ever need to contact the secret police. If you can appreciate the humour of this sort of thing, Night Vale is a good place to conceptually take up residence. Welcome to Night Vale is a triumph of creativity over the banality haunting ‘creative’ industries. It demonstrates that people with real ideas and imagination can find listeners and readers, and that the buying public does not simply want things that look pretty much like the things it already has. They’ve built something amazing here, and they’ve built it with love, and grass roots support, and it cheers me greatly to find that this is possible. Night Vale makes me think a bit of strange, medieval tarot cards. (Bear with me). You look at the cards, and the things people are doing on said cards, and it all seems preposterous. This may in itself entertain you. However, pause for a moment, and think a little bit, and all kinds of relevance starts to appear. Because there’s something in the nature of it that allows you to project onto it, and see aspects of yourself, your life, your town, your country reflected there. What you make of that is very much up to you.